MIAMI, FL (Thursday, November 15, 2018) – The fastest growing motorsports website in the world, Miami-based technology and multimedia company Motorsport.com, has joined forces with Lamborghini for the 2018 Super Trofeo World Final at Vallelunga, Italy from November 15 to 18. The highlight event of the season returns to Vallelunga after the inaugural edition was held in 2013. Other events have been held at Sepang (Malaysia, 2014), Sebring (Florida, USA, 2015), Valencia (Spain, 2016) and Imola (Italy, 2017). Motorsport.com becomes the ‘Official Digital Media Partner’ and will provide full event coverage of the World Final on 21 of its active editions, in 15 native languages. As part of the partnership, Motorsport.tv will live stream all events where the drivers of the three continental series of the Super Trofeo one-make series will fight for the title of Lamborghini World Champion in each of the four classes: Pro, Pro-Am, Am and Lamborghini Cup. 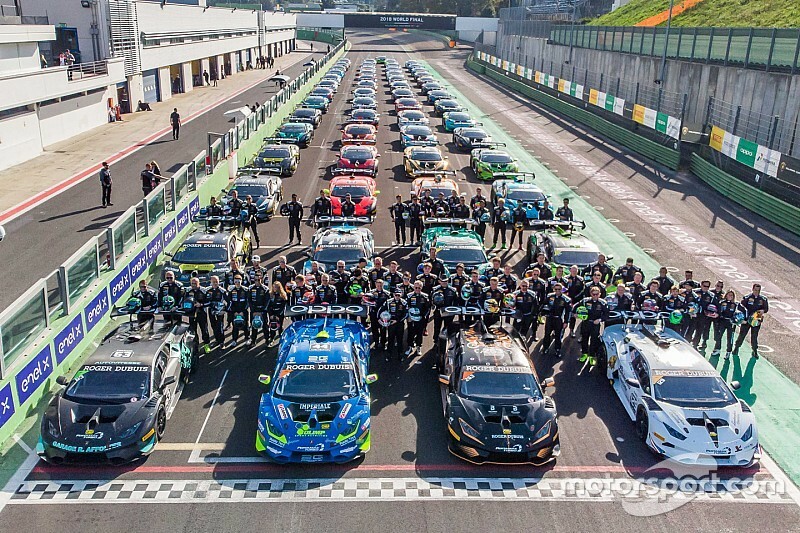 “The World Final is the pinnacle event of the Lamborghini Super Trofeo and will close a stunning racing season for us in terms of participation in our one-make series, and also the success gained in GT Customer Racing,” said Giorgio Sanna, head of motorsport of Automobili Lamborghini. The swiftly growing Motorsport Network has experienced rapid expansion in the past two years to become the world’s largest independent automotive and motorsport-related digital platform, connecting hundreds of millions of people that love motorsport and cars. “We are privileged that Lamborghini has chosen Motorsport.com as the official media partner for the 2018 World Final,” said Filippo Salza, president European Operations Motor1.com.